Then I saw a new heaven and a new earth…I saw the Holy City, the New Jerusalem, coming down out of heaven from God…The wall [of the city] was made of jasper, and the city of pure gold, as pure as glass. The foundations of the city walls were decorated with every kind of precious stone [Jasper, Sapphire, Chalcedony, Emerald, Sardonyx, Carnelian, Chrysolite, Beryl, Topaz, Chrysoprase, Jacinth and Amethyst]. The twelve gates were twelve pearls, each gate made of a single pearl. 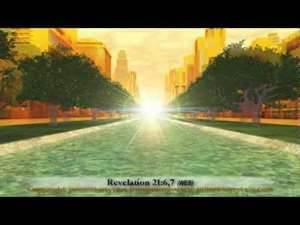 The great street of the city was of pure gold, like transparent glass (Revelation 21:1, 2, 18-21). Then the angel showed me the river of the water of life, as clear as crystal, flowing from the throne of God and of the Lamb down the middle of the great street of the city. On each side of the river stood the tree of life, bearing fruit every month…The throne of God and the Lamb will be in the city and his servants will serve him. They will see his face…There will be no more night. 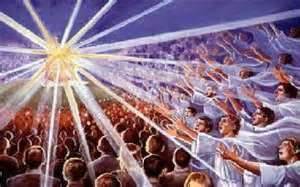 They will not need the light of a lamp or the light of the sun, for the Lord God will give them light (Revelation 22: 1-5). People have many questions about Heaven. Is it a real place? How do we get there? What will it be like? Will everyone go there when they die? Will we be reunited there with family members? Will we still be a “family”? Will we eat? Will we work? Will there be animals, and if so will our pets be there? Nine out of ten Americans believe that there is a Heaven and that they will go there (ABC News Poll). After watching this special I was amazed and astounded at the things people believe about Heaven. I was saddened by the idea that most people, even members of the clergy feel and believe that one must be “good” in order to go there. My purpose in this writing is to proclaim the truth about heaven as stated in Scripture. If you believe what God says in His Word, that answers the first question; is there really a heaven? God doesn’t reveal to us everything about heaven, mainly I believe, because it is beyond our comprehension. He speaks to us figuratively and uses comparisons which we can relate to. We know that gold and precious gems are beautiful so He uses those examples to describe it for us and to help us understand that it is an unbelievably beautiful place. Will the street really be paved in gold? It is possible because all things are possible with God. A city gate made of a single pearl? I can’t imagine a pearl that size, but it certainly would be beautiful beyond belief. Can you picture in your mind the river of the water of life, crystal clear and flowing from the throne of God? 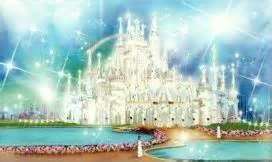 The throne of God will be awesome to see, and all who go to heaven will see it. It will be much more beautiful than any throne of kings or queens we have ever seen or imagined. There are places here on earth where we can find crystal clear water so we know it is beautiful and inviting. Trees on either side of a river are quite common, but the tree of life? I am sure it is much more magnificent than anything any of us has seen. And it is described as being one tree, but on either side of the river. Wow! How can that be? Can you picture the river flowing through or maybe under the trunk of the tree with its massive branches flowing out and above? The huge Sequoias and Redwoods that grow in California may be possibly be comparable. There are many references in Scripture in which God refers to “Heaven” as being a special place – a Kingdom if you will, prepared for His believers. I have listed below just a few. But where is heaven? Is it up above us? When we look up to the sky we see beauty, but we don’t see “Heaven”. Rather we see the Heavens. We are told in the first verse of Genesis; in the beginning God created the heavens and the earth. With these words He is describing to us the sky and the heavenly bodies – the sun, moon and stars. He is referring to the parts of the universe which are above the earth as the heavens, but He is not saying that is where His heavenly kingdom is located. Scripture however, does often refer to heaven as being above the earth. We are told in the book of Luke that Jesus, as He was blessing His disciples was taken up into heaven (Luke 24:51). The book of Acts also describes the aftermath of Jesus ascension – he was taken up before their very eyes, and a cloud hid him from their sight. They were looking intently up into the sky as he was going, when two men dressed in white stood beside them. ‘Men of Galilee’ they said, why do you stand here looking into the sky? This same Jesus, who has been taken from you into heaven, will come back in the same way you have seen him go into heaven’ (Acts 1: 9-11). Jesus also describes judgment day to his disciples (and to us) saying; They will see the Son of Man coming on the clouds of the sky…(Matthew 24:30). We therefore picture Jesus coming back to us from above. So in answer to question number two; where is heaven? – We simply don’t know because God doesn’t tell us. It is safe to assume however, that it is another dimension which we cannot see with our human eyes. It is likely all around us – we just aren’t able to see it in this life. God has given humans physical bodies and placed us in a three dimensional world (height, depth, width). He does not give us the ability to see or know anything beyond that and it doesn’t really matter because it is not something which our salvation is dependent upon. Moving on to question number 3 – How do we get there? As I watched the ABC news special about heaven and listened to statements made by Catholic Priests, Christian Pastors and Jewish Rabbis I heard many opinions, but I was disappointed. I was disappointed that of all these men and women theologians who have supposedly studied Scripture extensively, none spoke up with the truth. I never heard any of them say we are saved by God’s grace through faith in His one and only Son Jesus Christ. It seems that with all their years of study and time spent in God’s Word, they missed the point completely. The person who came the closest to the truth was Evangelical, Joel Olsteen who stated that we are saved through faith in Jesus. Many discussed how one must be a good person – reaching out and helping others, be a good citizen, don’t break the law, go to church etc. But I ask you; how good is “good”? There is no human who is perfect. If we get there by being “good”, how do we know when we have been “good” enough to attain heaven? God expects perfection. He tells us; be holy because I, the Lord your God, am holy (Leviticus 19:2). Sin is sin and it doesn’t matter what the sin is, it condemns us in God’s eyes. We are told in Romans 6:23; the wages of sin is death. You may have never murdered anyone or robbed a bank but because of that little lie you told, the gossip you shared about someone, that evil thought or hatred you felt in your heart toward another human, or the lust you felt toward someone you were not married to; you stand condemned in God’s eyes. So if that is the case, how does anyone get to heaven? It boils down to that one little Bible verse we all know so well, but yet take for granted; for God so loved the world that he gave his one and only Son, that whoever believes in him shall not perish but have eternal life. Whoever believes in him is not condemned, but whoever does not believe stands condemned already because he has not believed in the name of God’s one and only Son. (John 3:16, 18) It doesn’t get any clearer than that. 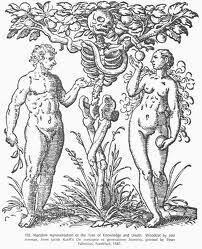 We inherit sin from our parents and their parents before them all the way back to Adam and Eve the first people God created. Jesus, God’s Son, was without sin. He lived the perfect life that humans, because of their sinful nature are unable to live. 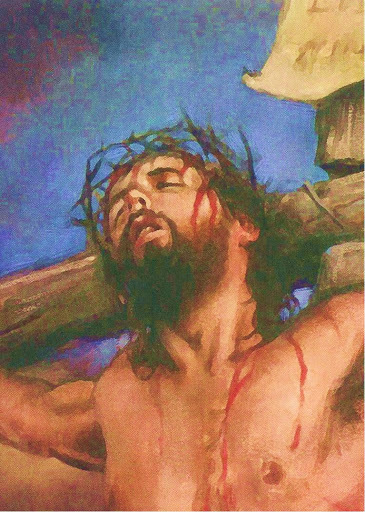 Out of love for us He chose to suffer and die in our place. He took the punishment we deserve for our sin upon Himself, and gave us His holiness. He paid our debt to God. His blood, shed on the cross for us, washed us clean and made us fit to stand before a holy God. Plainly stated; we attain heaven by believing in Jesus who made us holy by His blood, shed on the cross for our sins. Which leads us into question number 4 – will everyone go there? The answer is “no”. Jesus tells us; not everyone who says to me, ‘Lord, Lord’, will enter the kingdom of heaven. (Matthew 7:21) Jesus died for all people, but only those who by faith, come to Him with a repentant heart, will receive His free gift of salvation when their life here on earth is over. And without faith it is impossible to please God, because anyone who comes to him must believe that he exists and that he rewards those who earnestly seek him (Hebrews 11:6). It doesn’t matter where you come from or who your parents are. It doesn’t matter if you are rich or poor. It doesn’t matter what color your skin is. If you do not have faith you will not go to heaven. If you deny Jesus and the existence of the Lord God, you will not go to heaven. The second half of that verse from Romans 6:23 reads; but the gift of God is eternal life in Christ Jesus our Lord. Salvation (heaven) is a gift of God’s grace through faith in Jesus, His one and only Son. The apostle Paul tells us; For it is by grace you have been saved, through faith – and this not from yourselves, it is the gift of God – not by works, so that no one can boast (Ephesians 2:8). So there you have it folks – Heaven is a gift rewarded to all who by faith believe in Jesus, God’s one and only Son, as their Savior from sin. Jesus is God in human flesh. He came to earth and lived the perfect life we are unable to live because of our sinful human nature, and He suffered and died in our place so that we can live forever with Him in heaven. God’s gift of faith is not hard to attain. The Holy Spirit puts faith in our hearts through baptism and also through hearing, reading and studying the Word. Consequently, faith comes from hearing the message, and the message is heard through the word of Christ (Romans 10:17). 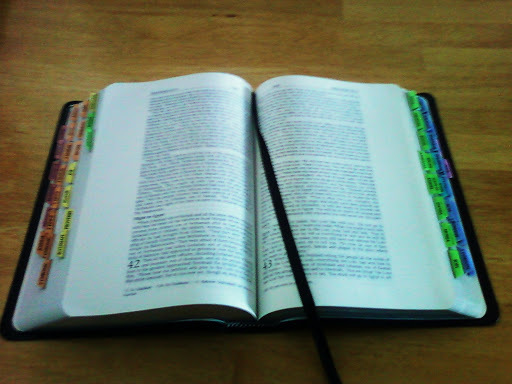 Pick up a Bible and begin reading. 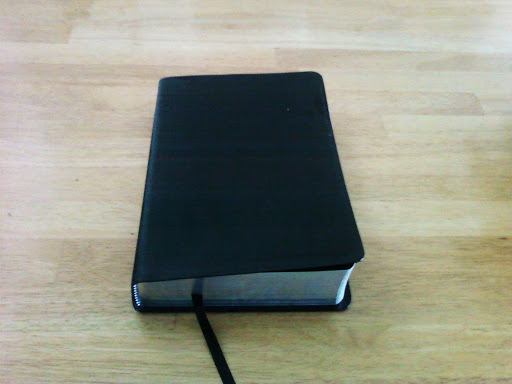 I recommend the NIV (New International Version) but others are good also. There is much in Scripture which may be difficult for you to understand, but what you need to know for your salvation is clearly written so that even a child can understand it. The first books of the Old Testament beginning with Genesis tell us how God created the world and the first people and how the first people fell into sin. The New Testament tells us the life giving Gospel message which is the Good News of how Jesus came to rescue sinners from eternal death. The Bible is God’s story of the history of the world. When you separate the word “History”, it reads; “HI-S-TORY”. It is God’s story from beginning to end. The end has not yet come, but He tells us what to expect and His word is always true and it is final. The end will come in His good time. Be ready for it and you will have nothing to fear. If you watched the ABC News Special; Heaven – Where is it and how do we get there hoping to find answers to your questions about heaven and life after death, I know that you were disappointed. Rather than listen to man’s ideas about heaven, I urge you to go to God’s Word for the answers. He tells us everything we need to know regarding heaven and how to get there. The last few minutes of the ABC Special were a discussion of Hell. God tells us about Hell in His Word also. Many people feel that there is no Hell. But I profess to you that there is. Just as I believe what God tells me about Heaven, I believe also what He warns about Hell. Hell will be devoid of God’s presence completely. God is the source of all goodness, light and love. Here on earth He is present for those who love Him as well as those who don’t. Those in hell will be completely separated from God and from all that is good. There will be no light – only utter suffocating darkness. There will be no laughter or love. Jesus warns; If your hand causes you to sin, cut it off. It is better for you to enter life maimed than with two hands to go into hell, where the fire never goes out…[where] their worm does not die and the fire is not quenched. Everyone will be salted with fire. Don’t despair thinking you can never be good enough for God. God loves you. Jesus died for you. You are special. We are all sinners and without Jesus none of us can ever be good enough for God, but with Him in our hearts and our lives, our sins are covered. The blood of Jesus, his Son, purifies us from all sin (1 John 1:7). If you look for Him, you will be found by Him. Remember; he rewards those who earnestly seek him. Through the Word, the Holy Spirit will ignite faith in your heart. You will be washed in the blood of Jesus which brings eternal life. You won’t need to fear death or judgment day. You will be covered in the blood of the Lamb and you will be fit to stand before a holy God. Yes, heaven is a real place. I am confident that I will see it for myself when my life here on earth is over because I believe that Jesus, the perfect Son of God lived and died for me. He conquered death and Satan when He rose from death 3 days later. He promises all who believe in Him; because I live you also will live (John 14:19). It will be a beautiful place as described above in the verses from Revelation. I am confident also that I will be reunited there with family members and friends who have died in the faith and gone before me and that I will recognize them. We will all belong to one family – the family of God. We will eat and enjoy many of the things we have enjoyed in this life, but our lives will no longer be tainted by sin. God will have work for us to do, but it will be a joy to serve Him. Therefore, they [believers] are before the throne of God and serve him day and night in his temple (Revelation 7:15). Unfortunately, not all people will be able to go there. Those who reject Jesus in this life will not be in heaven. Whoever believes in the Son has eternal life, but whoever rejects the Son will not see life, for God’s wrath remains on him (John 3:36). Those who reject Jesus will go to Hell. My answers to the three main questions; is heaven real, how do we get there and who gets to go are rooted in Scripture. Scripture also reveals to us that there will be food in heaven. He rained down manna for the people to eat; he gave them the grain of heaven. Men ate the bread of angels; he sent them all the food they could eat… [And animals]…He rained meat down on them like dust, flying birds like sand on the seashore (Psalm 78: 24-27). There is also a reference to animals in heaven in Acts 10:12; He saw heaven opened and something like a large sheet being let down to earth by its four corners. It contained all kinds of four-footed animals, as well as reptiles of the earth and birds of the air. Do we have to be “good” in order to go to heaven? The answer is “no” because no human is good enough to stand before a holy God. 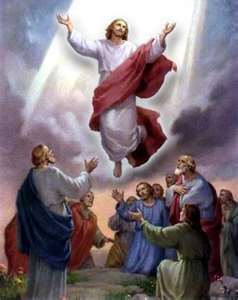 We get to heaven through faith in Jesus, God’s Son in human flesh who paid the debt of sin which all humans owe to God. He went to the cross for us and He conquered death by rising again. Because of Jesus, death and Satan no longer have power over those who believe and have faith in Him. As believers in Christ we will strive to do His will and be an example of His love. Rather than being our way to heaven, being “good” will be a “fruit” or the result of our faith in Him. Out of love for God we will strive to serve Him and be a reflection of His love to our fellow man. Many times we will fail and sin against Him, but at the end of each day when we go to Him in prayer with a repentant heart and ask His forgiveness, He will hear our prayer and forgive us because He loves us with an everlasting and unconditional love.